sometimes i sit back and look at a meal i've prepare for myself and wonder how much it could be sold for in a restaurant. can you even put a price on a lovely meal prepared with compassion for yourself and those you are sharing it with? when i was younger, my family lived two blocks away from my grandfather. he would join us for dinner every week, and my dad would cook up something fantastic, as he always did. my grandfather would sit at the table at the end of the meal and ask "if this is what we are eating, i wonder what the rich people are eating?!" when i'm out enjoying a bite at a swanky restaurant, i'm constantly filing away recipe ideas and inspiration for flavor combinations. 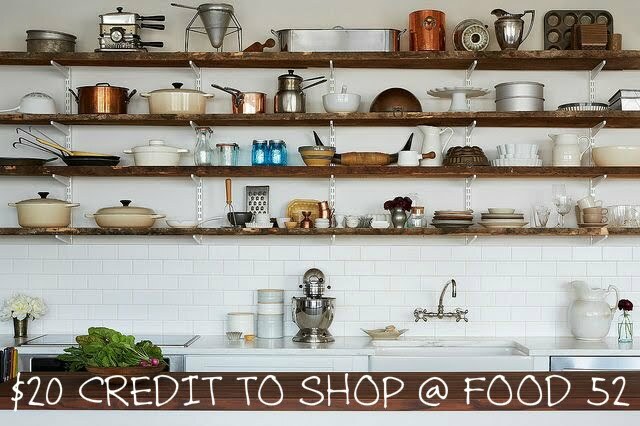 it's a wonderful thing to be able to recreate something you enjoyed out, from your home kitchen! not only will it cost you a fraction of the menu price, but you get to put your own spin on it, save it in your repertoire of recipes, and share the pleasure whenever and with whomever! my grandfather would have enjoyed this recipe - a recreation of an appetizer at terra plata in capitol hill, made personal with concord grapes growing in the yard of my bandmate and his wife. this is fantastic as a small amuse-bouche or appetizer with some red wine. or, throw it on top of a greens salad with blue cheese and a vinaigrette! oh so good! 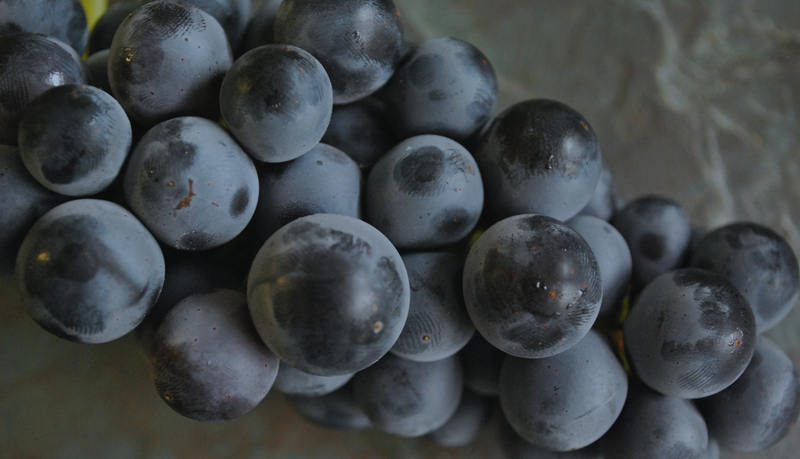 notes: you could use any variety of grapes - concord grapes are very sweet and have a great texture to them. they turn a lovely fuchsia color after roasted! however, you could play with mixing red and green grapes. for an appetizer, i like having pits in my olives. but for making into a salad, i would suggest pitted cured olives. preheat oven to 400. place walnuts on one small baking sheet or roasting pan and bake in oven until fragrant and lightly toasted. on another baking sheet, spread out the grapes. drizzle with olive oil and toss around with thyme. roast in the oven for 8 minutes. grapes will start to shrivel slightly, but pull them out of the oven before they start to split and pop. let cool to room temperature. 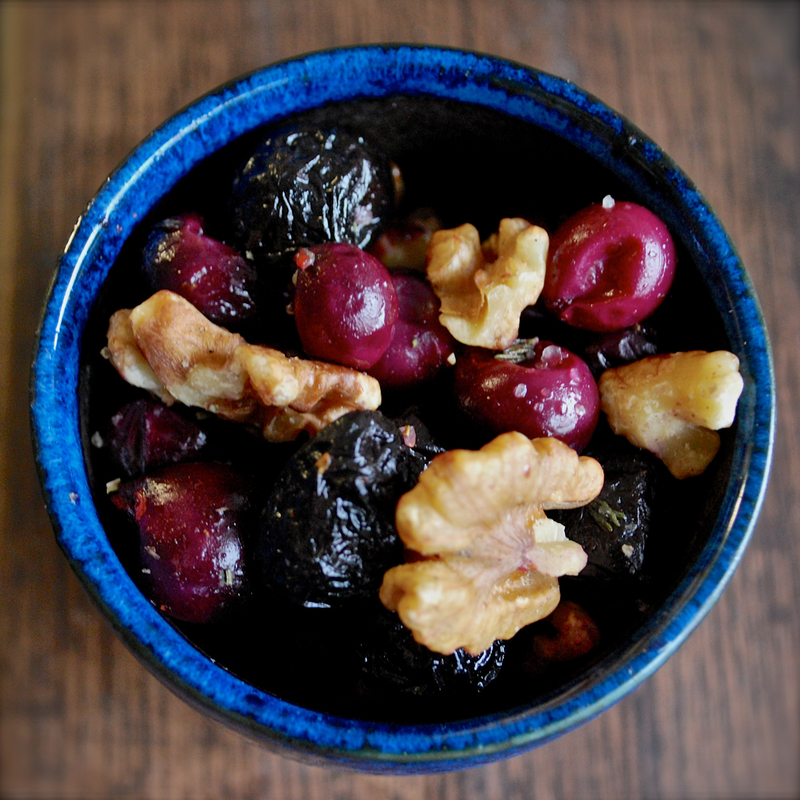 once cooled, combine grapes in a bowl with walnuts and cured olives. salt and pepper to taste.